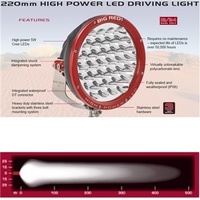 1 Lux @ 900 Metres!! 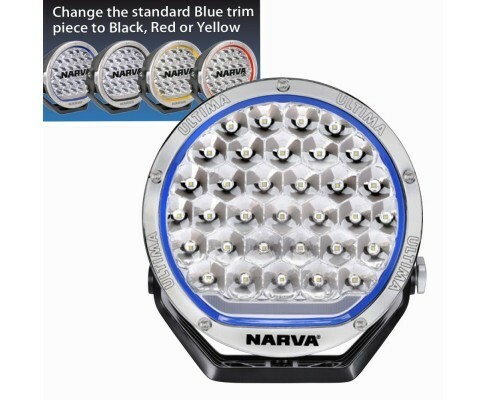 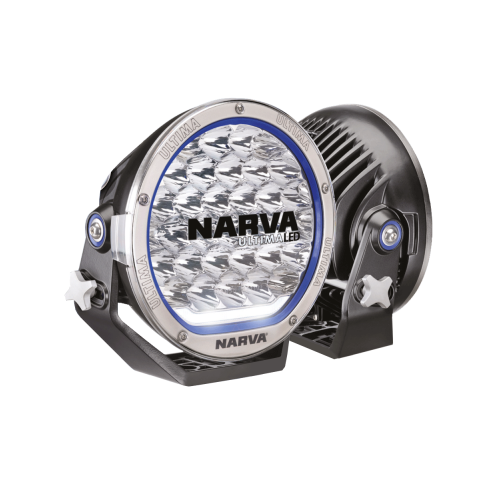 From extensive research and development benchmarked against the world's best, the Narva Ultima 215 has evolved setting a new standard in driving lamps. 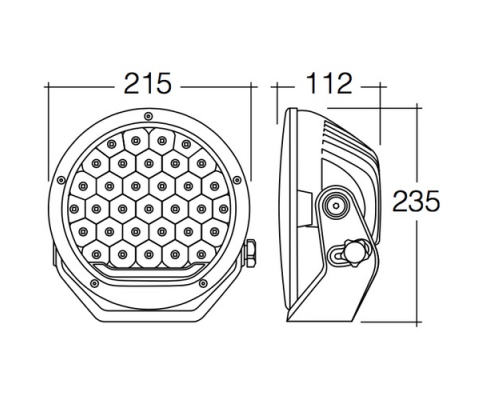 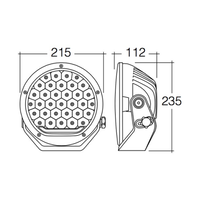 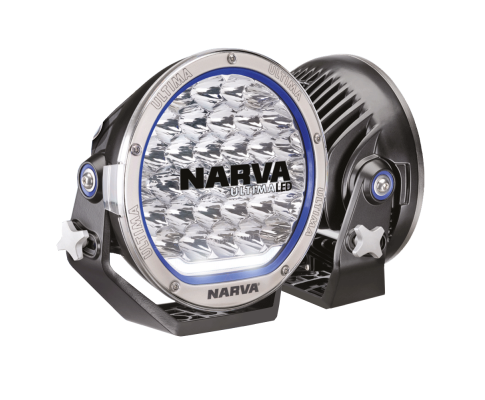 Unrivalled in light output performance in halogen or HID, the Ultima 215 LED Light is stylish and modern in its design with a rugged construction that belies its looks. 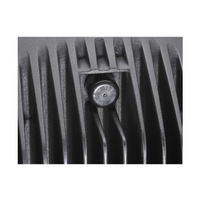 Constructed from pressure die cast aluminium, the housing offers superior strength and durability whilst also aiding in efficiently dissipating heat generated from the powerful L.E.Ds. 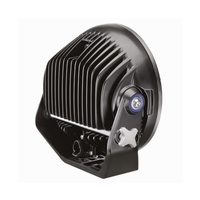 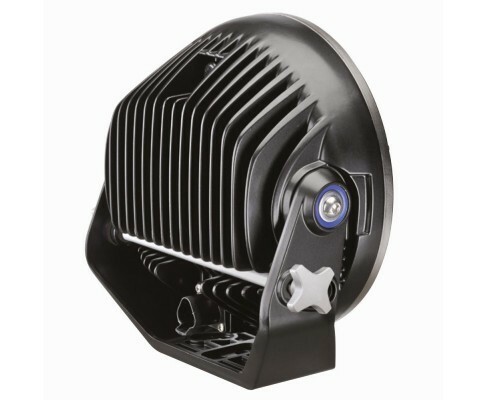 The bracket is also made from a pressure die cast aluminium and suspends the lamp via a pair of Polymer rubber bushes which act to further absorb shock and vibration. 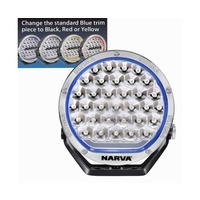 Quick and easy vertical adjustment can be made via the incorporated tool free adjustment knob. 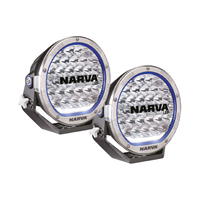 The inclusion of 4 different coloured inner trim pieces, with the option to further purchase either a gloss black or polished chrome plated outer bezel enables total personalised customisation. 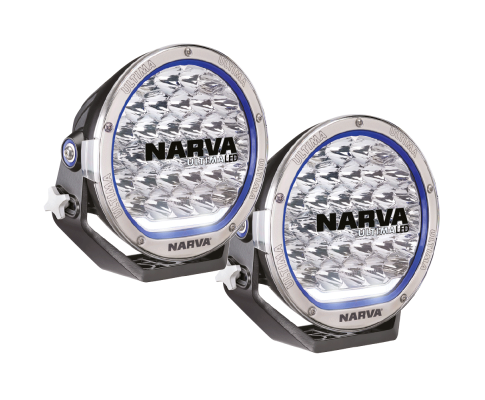 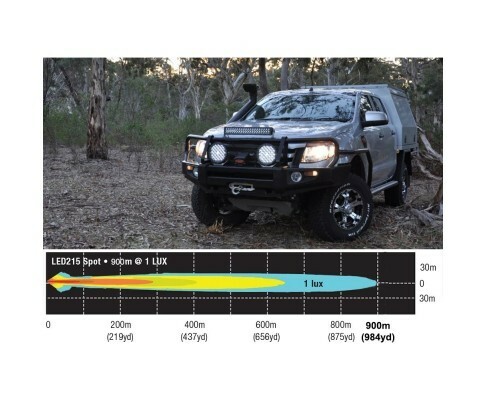 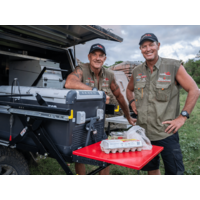 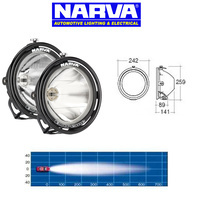 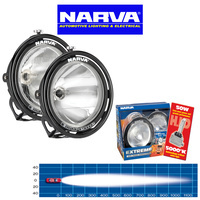 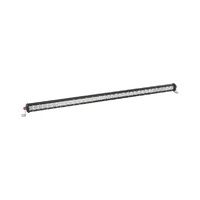 Using 5W XP-G2 CREE high intensity ledsand highly polished super-efficient metallised reflector, these Narva Lights generate 165 Watts of pure white light (5,700K) resulting in an output ideal for both off-road 4WD users and transport operators alike. 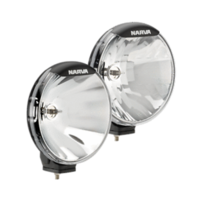 Extraordinary volumes of broad, penetrating light of 10,500 raw lumens fires light 900 metres down the road at 1 lux (2 lamps). 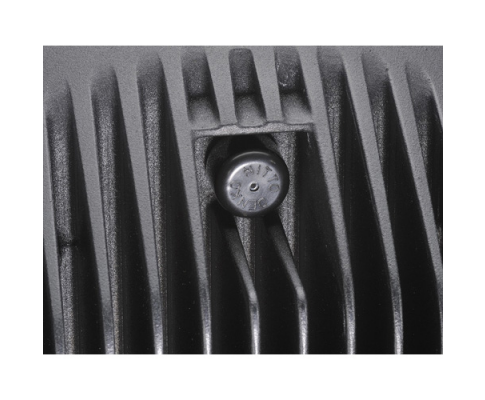 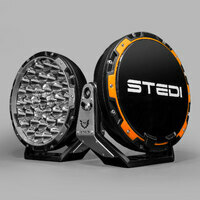 Oversized grooved heat sink fins , together with Active Thermal Management System, ultra efficient heat elimination.